○ Services: The center provides health services for people who are primarily in Central Los Angeles and do not have a family doctor or dentist. Services are targeted, but not restricted, to low-income people. There are no geographic restrictions. 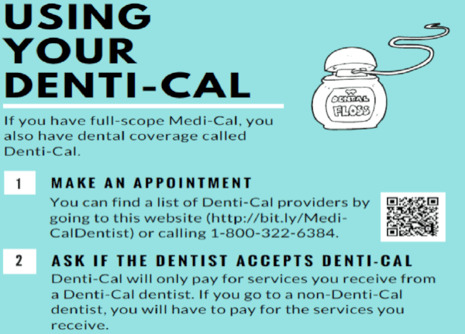 ○ Services: The school provides dental services for people of all ages who live in Los Angeles County. There are no geographic restrictions.